It's not often that a 25-year-old seven-footer with world-beating potential comes on the market, and it's even rarer for the two suitors in the mix to both be defending conference champions. But that's exactly the situation with Greg Oden, who will work out for teams this week, and according to one report, it's down to Miami and San Antonio. Oden hasn't played in an NBA game since 2009, a couple of microfracture surgeries ago. But he officially announced his plans for a comeback in January, and the Heat immediately showed interest. He's been working out nonstop, with one observer calling his progress "unbelievable." Now it's time to prove it. 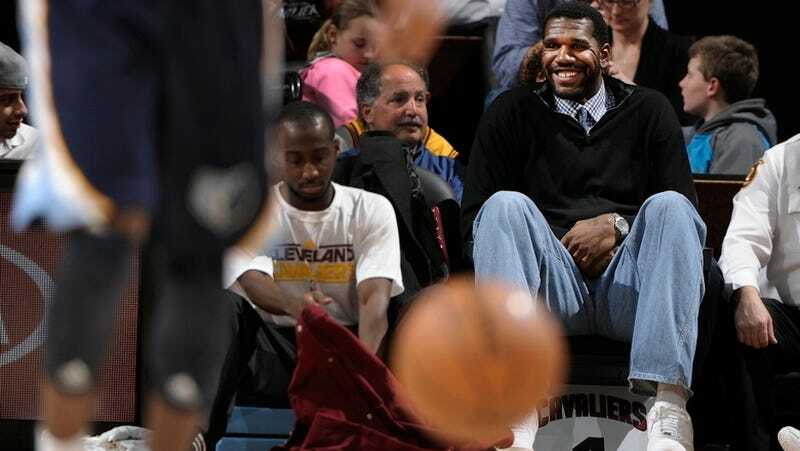 Greg Oden Is On The Comeback Trail, And He Looks "Unbelievable"
Remember Greg Oden? He used to play basketball. He&apos;d like to play basketball again. The Pelicans, sources said, are building their pitch around the fact going to New Orleans would enable Oden to make his comeback far away from the media glare and with no immediate pressure as he tries again to bounce back from the knee issues that have plagued him since college. But according to the same report, Miami and San Antonio are the clear front-runners. The Spurs have a lot more cap space, but that only matters if they're willing to offer anything more than an exemption's worth for a guy who has played in 82 total games over six years. The Heat's tight finances are why this would be a supremely risky move for them. They need size, desperately (who doesn't?). But the worst-case scenario for a usual free agent signing isn't disaster—he's relegated to the second unit, eating up minutes and fouls when needed. With Oden, the worst-case scenario is that he simply doesn't play. This is boom or bust. And that's assuming he has any boom left in him. There's no guarantee that Oden, 17 months removed from his last knee surgery, will be ready to go by the start of training camp.